One year has passed! Time for a new podcast! In this podcast we have special guests: El Fiero, Sleepy, El Sucio and Chi! Thanks for being patient, or not. We don’t blame you. We ask two couples, hard questions! We discuss: Yogurt, Best vs worst, Condom BJ, first time, GTA Strippers, Superheros, and the Worst break-up. 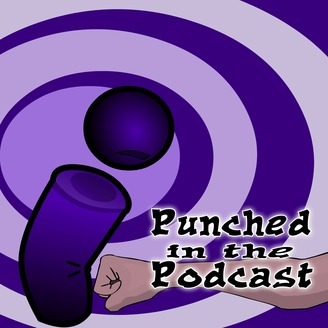 As always, like our Facebook page, follow us on twitter (@Punched_Podcast), Minds @Punchedinthepodcast, Gab @ /punchedinthepodcast or contact us via our site: PunchedinthePodcast.com or contact us here. Tired of politics? So are we! We are the anti-politically correct, 1st amendment loving, unapologetic comedy podcast that might make you laugh. We are available on iTunes, TuneIn*, Stitcher Radio, Podcast Addict, Podfeed, BitLove and now on the Google Play Store! We are also available in the Windows and Blackberry podcasting service. You have no reason not to listen, we make it too easy! Subscribe for free on iTunes or on Stitcher Radio or Podcast Addict or whatever the heck you’re using. Remember, tell your friends! NOW! 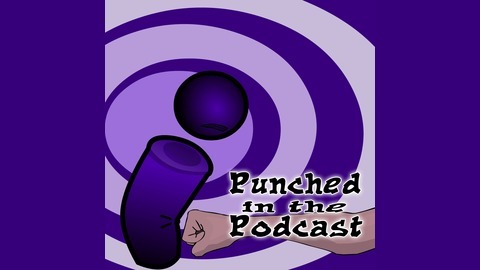 Punched in the Podcast, Killing your boredom one podcast at a time.